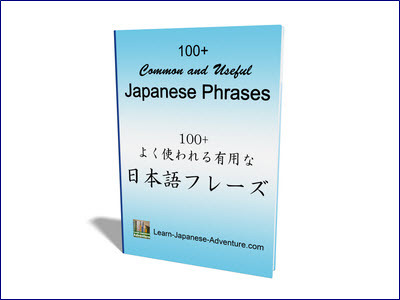 This lesson will teach you how to make your Japanese sentence sounds more natural using the grammar Plain form のです (Plain form no desu). After learning Japanese for some time, you will notice that native Japanese speak differently from what you have learned so far. One of the differences is that they like to add a の (no) at the end of a sentence. While the above sentence pattern is used in writing, it's changed to Plain form んです (Plain form n desu) when it's used in conversation because it's easier to pronounce. There is one condition when using this Japanese sentence. In order to use it, something should be obvious on whatever you have seen or heard. Let's use some examples to explain this condition. When NOT to Use Plain form no desu? As the students are still in the classroom wearing their school uniform, the teacher has no idea where they are going for their holidays. Therefore she can only ask with a question like "どこへ行きますか" (doko e ikimasu ka). When TO Use Plain form no desu? As opposed to the first example, it's obvious that your neighbour is going for travel. And you want to confirm that. In this case you can use Plain form no desu in the Japanese sentence. However, if you see your colleague carrying a wet umbrella into the office, you should use Plain form no desu. It's not a mistake to say "雨が降っていますか。" (ame ga futte imasu ka) for the second case. But native Japanese use Plain form no desu for something obvious, as it's more natural. Let's see another example to make sure what situation is considered as obvious. Meaning: Did you cut your hair? You have seen your colleague with long hair until yesterday. It's obvious that she had cut her hair. Therefore it's natural to use Plain form no desu in the Japanese sentence here. Meaning: Are you a Japanese? 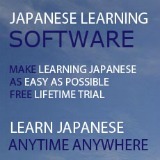 In summary, you can only use this Japanese sentence when something is obvious, either you have seen or heard about it. It also shows your curiosity and you are seeking for an explanation. Meaning: Why were you absent from school yesterday? Meaning: Because I had a headache. Meaning: Why are you going back early? Meaning: Because today is my wife's birthday. Don't forget that the Japanese grammar Plain form no desu is usually used in writing. 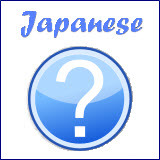 However during a conversation, の (no) is changed to ん (n). Lesson 20: Japanese Grammar for Cause and Reason.